The Buddies are here to help you get ready for Mom’s big day with this Jumbo Buddies Mother’s Day Card. You can use one of our sayings or create your own. Mom knows how much you love her. Trivia: Did you know that Mothering Sunday, sometimes known as Mother’s Day, is held on the fourth Sunday of Lent in the UK. It is exactly three weeks before Easter Sunday and usually falls in the second half of March or the beginning of April. To make this Jumbo Mother's Day Card, print out your favorite Buddie Paper Doll and their favorite outfit. If you printed out a black and white version have the kids color it before cutting out. Cut out and glue to construction paper. 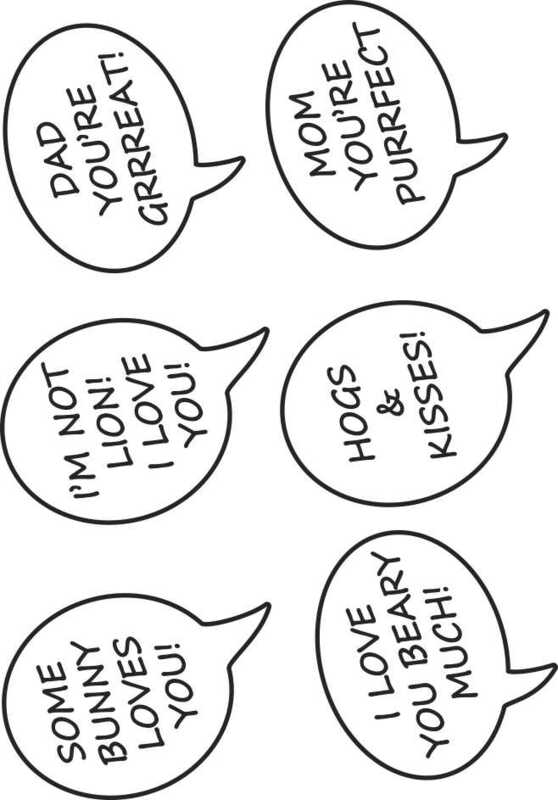 Print out your favorite saying or write your own for Mom. Cut out and glue on. Give to Mom with a big hug and smile on Mother's Day.. Printable Buddies Easter Buddies or Back To School Buddies in fact you can pick any of your favorite Buddies outfits.